Historic Fourth Ward Park, which surrounds a storm water retention basin, is a favorite spot for leisurely bike rides and walks. In 1990, what used to be a city voting district morphed into four separate neighborhoods: Old Fourth Ward Alliance, Old Fourth Ward Neighbors, Fourth and S.A.N.D. (Sweet Auburn Neighborhood District) and Fourth Ward West. But the overall name, Old Fourth Ward, stuck and still applies to the geographic area that encompasses all four. They’re also linked to the Old Fourth Ward Business Association, an organization of both residents and businesses that oversees issues relating to the area’s explosive growth, a welcome change from the area’s lackluster past. One of Atlanta’s most successful developments, Ponce City Market is home to an always-buzzing food hall, plus residential, retail and professional space. 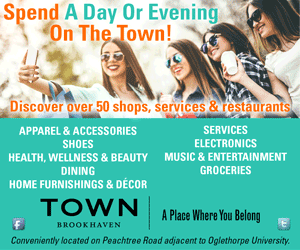 That convenience has electrified the back-to-the-city movement of new residents who want to be close to employment centers, nightlife, restaurants and the connectivity offered by the BeltLine. The area’s distressed properties and vacant land have been ripe for development, resulting in a plethora of apartments, townhouses and condos, as well as commercial enterprises. One of the most successful developments to date is Ponce City Market, the former Sears center on Ponce de Leon Avenue that is now home to apartments, retailers and restaurants on the edge of the BeltLine. Next door is the Historic Fourth Ward Park, a 16-acre green space that disguises a storm water retention basin, and The Masquerade, a long-time music venue. The south side of the neighborhood has also seen changes with the arrival of the Atlanta Streetcar and the refurbishing of the Sweet Auburn Curb Market, an historic building filled with food vendors and grab-and-go eateries such as Arepa Mia, Bell Street Burritos and Grindhouse Killer Burgers.